Tag Along Alpacas, LLC is a family farm. In August of 2012, after generations of dairy farming and custom tilling, we decided to fulfill a dream of raising alpacas. In August our first four alpacas arrived and every day with them has been a blessing. They are extremely addictive! We raise Huacaya Alpacas (pronounced whah-kai-ah) in a variety of colors. Tag Along Alpacas, LLC is owned by mother/daughter duo Connie Gsell and Tracy Abram with constant help and support from their husbands, David Gsell and Michael Abram. The farm is over 293 acres of productive farmland, pastures, pond, and woodland, producing corn, soybeans, wheat, barley, hay, straw and more. In addition to the alpacas, there are beef cattle. All are protected by "Cowboy", the Australian Cattle Dog. 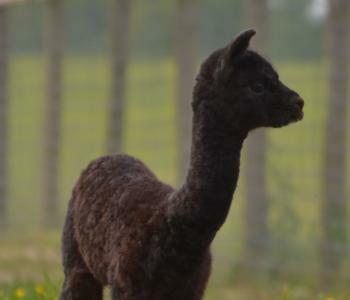 Whether you are interested in purchasing alpacas, want to buy products made from alpaca fiber, are looking to start your own alpaca business, or just want to meet our wonderful alpacas, we welcome visitors by appointment. We offer a wide variety of alpaca products - check out our website for details. You can also find us September through December at the Chestertown Farmers Market on Saturdays from 8am-12pm. You can also find us on Facebook at www.facebook.com/tag.alpacas. Last Update: September 1st 2016. Check out our facebook page at www.facebook.com/tag.alpacas!